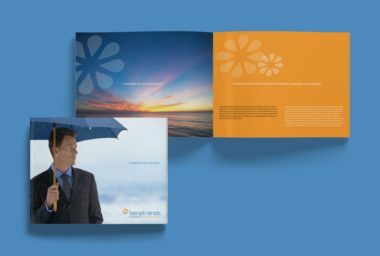 MDG recently embarked on a multi-faceted rebranding campaign for Benetrends, the nation’s leader in retirement-plan solutions and funding for small businesses. 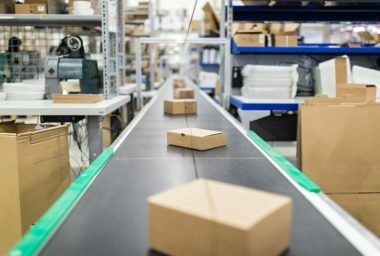 For nearly 30 years, the company has provided proven and innovative funding solutions through plans that enable entrepreneurs to access their retirement funds without penalty, to launch their business dreams. As part of the rebranding process that resulted in a new collateral system, MDG created specialized brochures that target franchisors, business brokers, and potential entrepreneurs. The new collateral system positions Benetrends as the ideal partner for this market’s entrepreneurial clients by outlining the company’s proven experience, solid funding opportunities, acclaimed Rainmaker Plan, additional financial solutions, and commitment to partnership. In designing the brochure, MDG selected bright blue as the color to convey a sense of trust and commitment, and orange to create a tone of optimism, enthusiasm, and creativity. 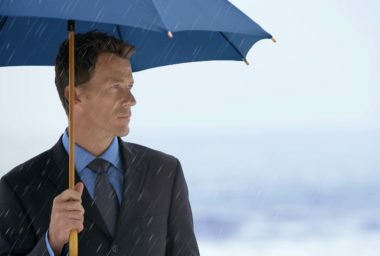 Images of a bright blue sky and a sunrise on the horizon evoke the sentiments of “the sky’s the limit” and opportunities “on the horizon.” The umbrella image on the front cover represents the safety of partnering with Benetrends, while the shadowed photo of business associates shaking hands expresses the essence of partnership that the company imparts to all of its franchisors, business brokers, and entrepreneurs. An important element of the integrated rebranding campaign, the new collateral defines the benefits of partnering with Benetrends and will allow the company to grow, as it helps others to thrive. To learn how updated branding elements can refresh your company’s image, contact MDG Advertising today at 561-338-7797 or visit mdgadvertising.com.